Without a doubt, the most valuable tool a parent can have in their home is a well-worn Bible. The apostle Paul said all Scripture is inspired by God, or more literally, “God-breathed”—the product of the creative breath of God (2 Timothy 3:16). When the Bible is heard and read, it revives the soul, makes wise the simple, rejoices the hearts, and enlightens the eyes (Psalm 19:7-8). Here are 10 practical ways to live this out. 1. 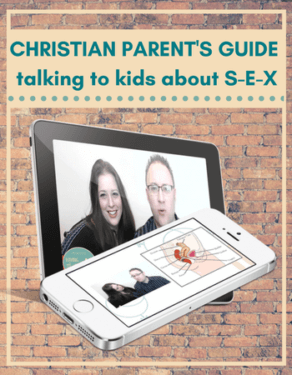 Help your kids establish a morning devotional time – Devote serious time to figuring out the best way for your child to spend quality alone-time with God. Length of time doesn’t matter nearly as much as just the habit of doing it. When they are young, let them listen to the Bible on CD. 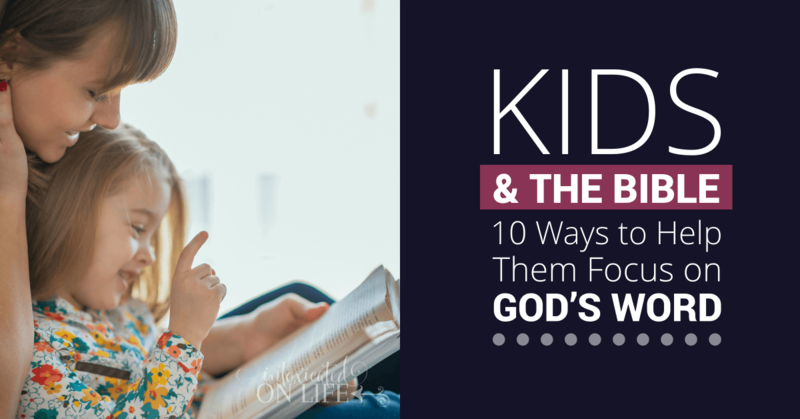 When they get older, give them a Bible reading plan or a good age-appropriate devotional. 2. 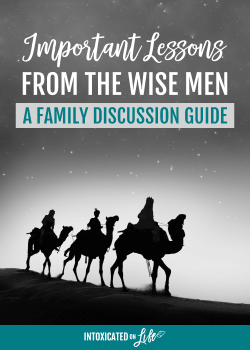 Maintain a routine of nighttime devotions – Family devotions don’t have to be elaborate: read from the Bible or a children’s Bible, talk about what it means, talk about how the passage convicts you personally, and talk about how it helps us to understand God better. 3. Use the Psalms for bedtime blessings – As your kids are drifting off to sleep, use specific Psalms for bedtime prayers. Many are suitable, but some of our favorites are Psalms 63, 121, and 139. 4. 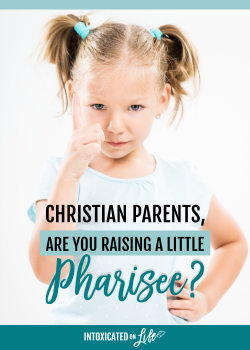 Let your kids fall asleep to Christian music – Often our kids will (softly) play Christian music like Scripture-based songs or worship music as they drift off. 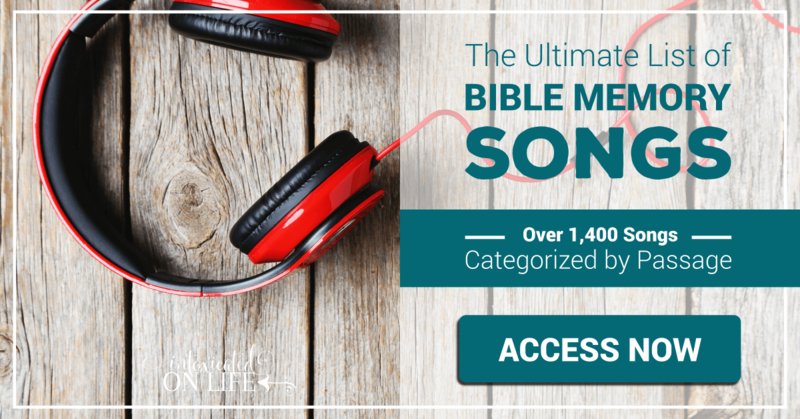 If you’re looking for a great list of Bible memory songs you can use, we have a list of over 1400 songs, categorized by passage. 5. 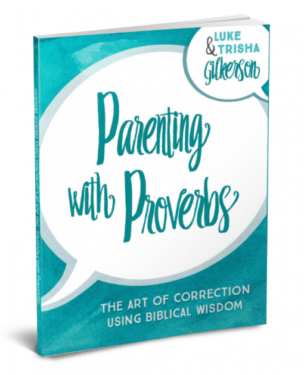 Use proverbs for on-the-spot guidance – The Proverbs were specifically written as parental guidance to the young. They are pithy, easy to memorize, and quick to recite. What vices do your children struggle with? Pick just 3 or 4 to start. Now find a proverb for each one. Commit them to memory and use them to converse with your child in moments of correction. 6. Schedule times of planned service – Involve your kids in service opportunities: running errands for people who are sick or elderly, making food for someone in need, visiting someone who needs encouragement. Find a fitting verse from the Bible for each service activity so your child knows the Biblical reasons for what you are doing. 7. 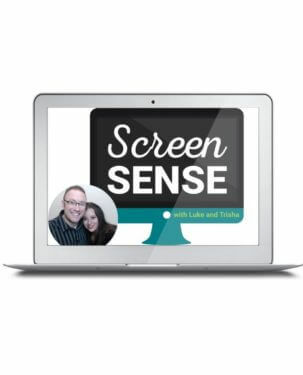 Offer Biblical discernment during media viewing – Pick age-appropriate movies for family movie nights, and make sure to take time to talk after the film is over. 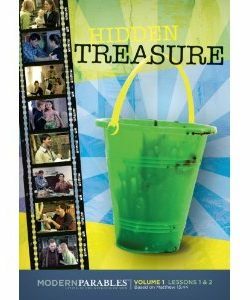 For a quick discussion guide, use one of the virtue-and-vice lists found throughout the New Testament, stopping on specific words to ask your kids: “Did any characters in this movie show [specific virtue or vice]?” Romans 12:9-21, 1 Corinthians 13:4-8a, Galatians 5:16-26, Philippians 4:8, and Colossians 3:5-17 are great ones to use. We’ve published parent discussion guides for a couple movies: Storks and Pete’s Dragon. 8. Establish traditional mealtime blessings – It is common for Christian families to pray before meals, but start a tradition of using specific prayers from the Bible for mealtime blessings. My favorites are sections from Psalm 104, 136, and 145. 9. Institute a Bible-memory time – This can take as little as five minutes a day when you’re starting out, but it can make a huge difference in the long-run. Using something like a Charlotte Mason memory system to keep track of who is memorizing what. You can use this for specific Bible verses, longer passages, and even creeds or catechism questions. 10. 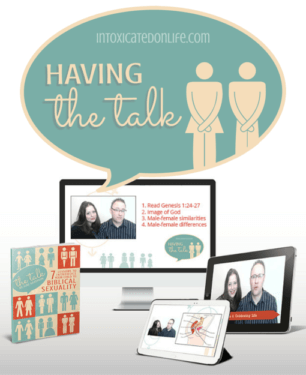 Integrate the Bible into school subjects – If you homeschool, this is easy to do. Find curricula that does the integration for you. Since the Bible is a historical book, you can integrate Biblical history into world history. You can talk about the good or bad traits of the characters in the books you read. When your children are young, you can use the Bible directly when teaching the discipline of handwriting. I created a handwriting workbook for my oldest son using a long passage of the Bible we were memorizing as a family. 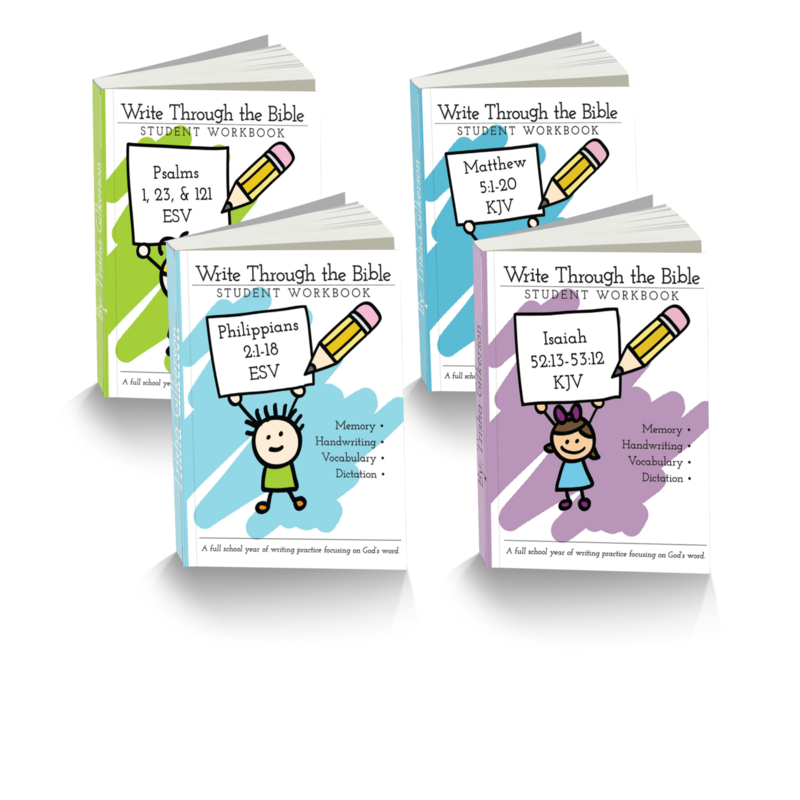 This has spawned a whole line of Bible copywork workbooks called Write Through the Bible (in 3 different levels) and they have been a great help to our family. For students who are just learning to write their letters. These books are filled with fun activities that help students develop fine motor skills. They walk parents and students through the alphabet as they help kids memorize a passage of Scripture over the course of a school year. Available in our store in digital and spiral bound. For students who are ready to begin writing words and sentences. 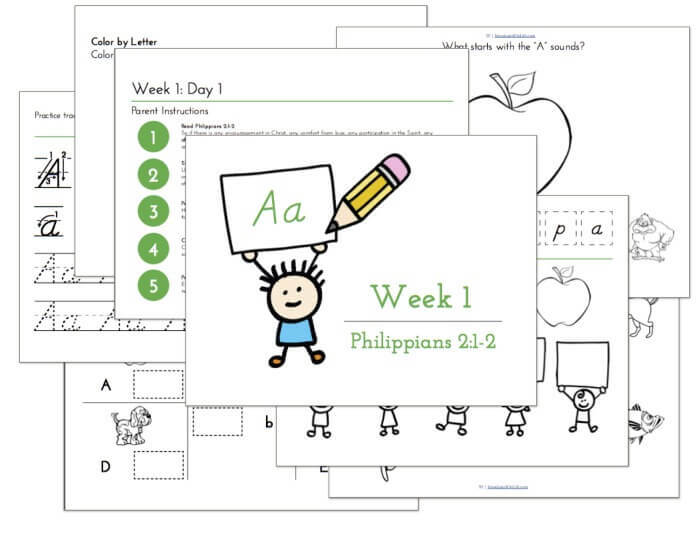 Students will develop fine motor skills, develop their vocabulary, and become strong writers as they memorize a passage of Scripture through the school year. Available in digital and spiral bound. For ongoing handwriting and dictation practice. 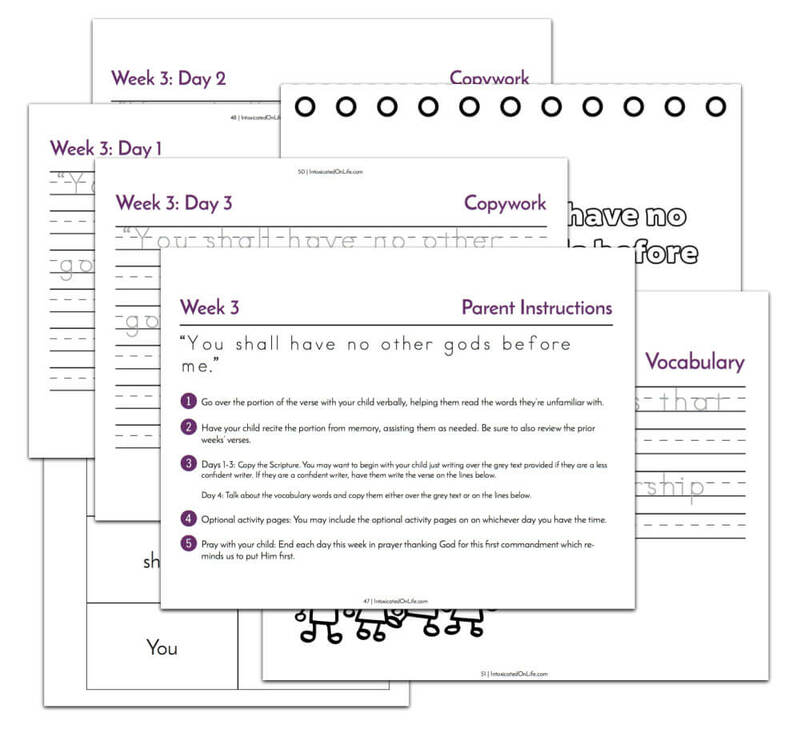 Not only does this level provide handwriting practice, but it also provides dictation and vocabulary exercises while memorizing a passage of Scripture through the year. Available in our store in digital and paperback. Many Scripture passages are available. Each book is available in ESV and KJV Bible translations. 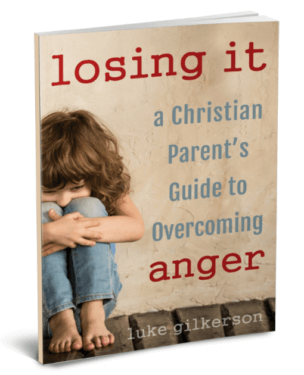 Integrating the Bible into our day takes time and attention, but it is one of the most important things you can do as a parent. 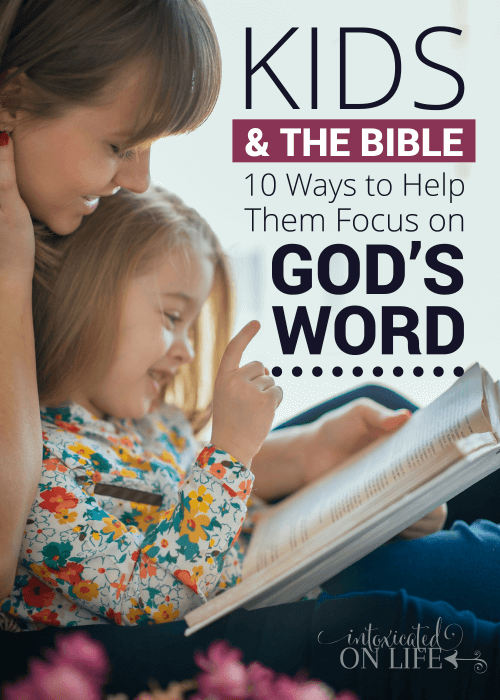 What strategies do you use for integrating the Bible into your children’s day? We’ve swapped back & forth between morning and nighttime devotions, but I think what works best for us (right now) to have morning Bible Study and longer nighttime prayers. I really love your idea about listening to Christian music at bedtime, too – how relaxing and more enriching than a sound machine. I’m planning to try out #5 right away! I love Proverbs because it is so instructional! Thank you for the tips!!! Families definitely have to find a routine that works for them! There is no one perfect routine and I’ve even found that at different stages, different things have worked for us. I soooo love everything you write. I must say you both write so well and your articles are full of wisdom that is grounded in scripture. This is another one of your articles that I will download and print for reference to be used for ‘when I lose my way’! I have young kids and now more than ever do I feel the urgency to set the temperature right in my home. I love you and appreciate your gift that is poured on your website!